This should have been the year to end more than two decades of corporate welfare for companies whose business model involves the destruction of Virginia’s mountains. 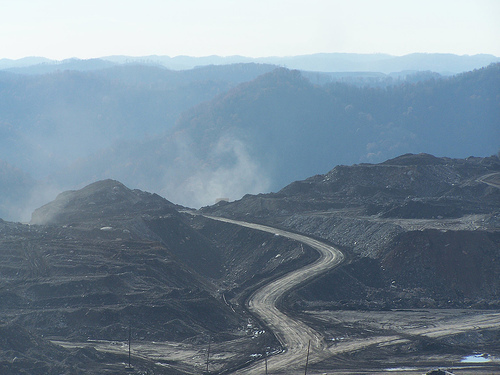 All the facts line up against the coal subsidies: the unremitting decline of coal employment since the 1990s, the waste of half a billion dollars that could have gone towards diversifying the southwest Virginia economy, the unfair advantage it gives coal over 21st century clean energy technologies that promise real job growth, and even all that anti-subsidy rhetoric from Republicans that ought to make them uncomfortable with crony capitalism and a blatant giveaway to a mature industry. No one but a few lonely environmentalists spoke up against the subsidies. Where are the clean energy businesses? Where is the Tea Party? Where are the people who actually care about the dire need for new industries and new jobs in southwest Virginia? SB 741, which passed the Senate 32-6 on Thursday, merely contains the extension of the subsidy for coal use out to 2019. So few Senators seem to have their heads on straight on this issue that it’s worth thanking them by name here: Adam Ebbin, Barbara Favola, Janet Howell, Mamie Locke, Donald McEachin, and Jennifer Wexton. SB 1161 (Colgan), which also passed the Senate, contains the same limitation found in HB 1879. In this case, passing the bill was better than the status quo. This entry was posted in coal, legislation and tagged legislation, mountaintop removal, Toscano. Bookmark the permalink.